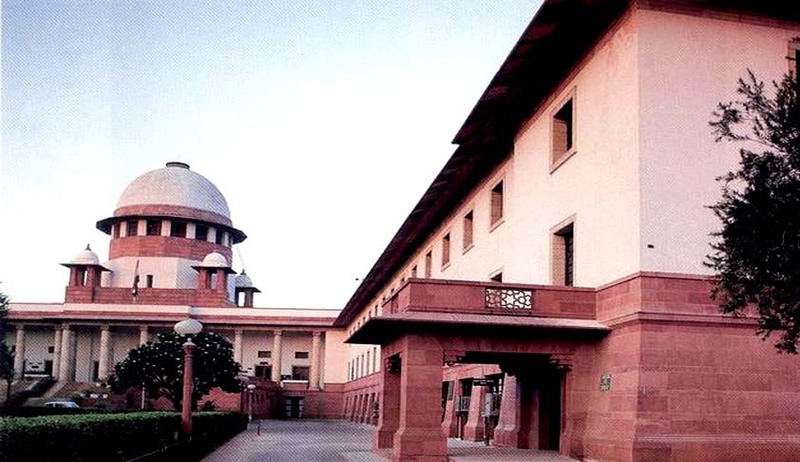 A Special Leave Petition has been filed in the Supreme Court of India challenging the Bar Association (Constitution and Registration) Rules, 2015 framed by the Punjab and Haryana State Bar Council. The Petition has demanded an ex interim stay on the Rules, in order to avoid irreparable loss and injuries. A notice has been issued by the Court and the matter has been placed for next hearing on October 5. The petition challenges a judgment of the Punjab and Haryana High Court, in the case of Harjot Singh Harikey v. Bar Council of Punjab and Haryana, CWP No. 6047 of 2015. The Petition has been filed by the President and Vice President of the Rohtak Bar Association and Secretary, President and Vice President of the Panipat District Bar Association. They have challenged the judgment on the ground that the consensus acknowledge by the High Court was invalid and void as they were not heard before rendering the decision. The elections of the Bar Association, Rohtak and Panipat were held on 25.05.2015 and 16.05.2015 and the results were declared on 30.06.2015 and 16.05.2015 respectively. The Petitioners were to continue till the expiry of their term in April-May 2016 as per the rules of the Bar Association, Rohtak and Panipat. However, their term will now end prematurely by the first week of December, 2015. They challenge the 2015 Rules as being ultra vires the Constitution of India and the Advocates Act, 1961. It questions whether State Bar Council holds power under the Advocates Act to regulate District Bar Associations and whether such framing of rules violates Fundamental Rights provided under Article 19(1) (c) of the Constitution of India. The Petition further questions the power of the High Court to direct the State Bar Council to frame Rules for District Bar Associations in the state of Punjab and Haryana. The Rules were formulated in furtherance of an earlier judgment of the High Court dated September 1, 2014, in the case of Mohinder Singh Chauhan v. Bar Council of Punjab and Haryana, L.P.A No. 1427 of 2014. Through this judgment, the High Court had permitted the Bar Council of Punjab and Haryana to enact appropriate Rules with a view to apply the same uniformly to all the Sub-Divisional or District Level Bar Associations. A compliance report was also demanded by the Court, which was duly filed. According to the Petition, the Rules violate the Fundamental Right under Article 19 (1) (c) to form association or union. “[T]he freedom guaranteed under Article 19(1) (c) is not restricted merely to the formation of the association, but to the effective functioning of the association so as to enable it to achieve the lawful objectives,” it says. The Rules have also been alleged to violate Section 6 and 15 of the Advocates Act. It further claims that the Rules violate Article 14 of the Constitution of India, as being arbitrary and discriminatory in nature.